Euro continues Friday’s ascending movement. Today price may reach level of 1.3550. 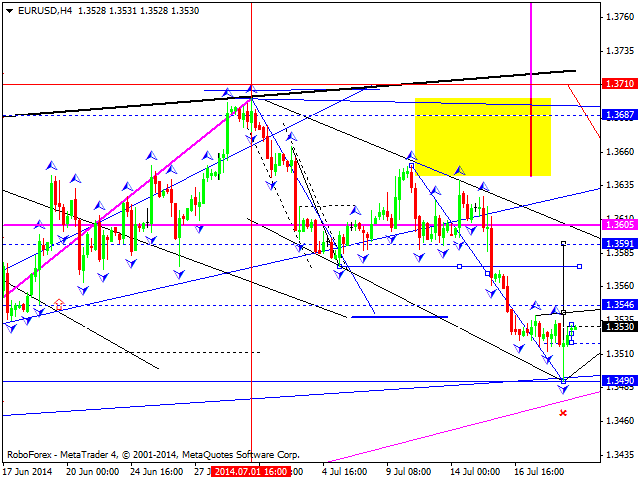 In our opinion, price may start correction towards level of 1.3520. Then, price may start forming another ascending structure towards level of 1.3520. Pound continues its correction. Today price may reach level of 1.7140 and start forming another descending structure towards level of 1.7010. 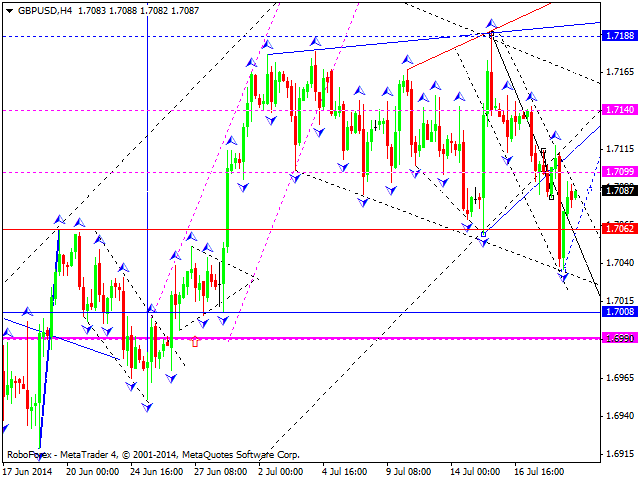 Then, price may continue moving upwards inside ascending trend and reach level of 1.7500. Franc is still moving in the descending channel. We think, price may continue Friday’s descending movement. 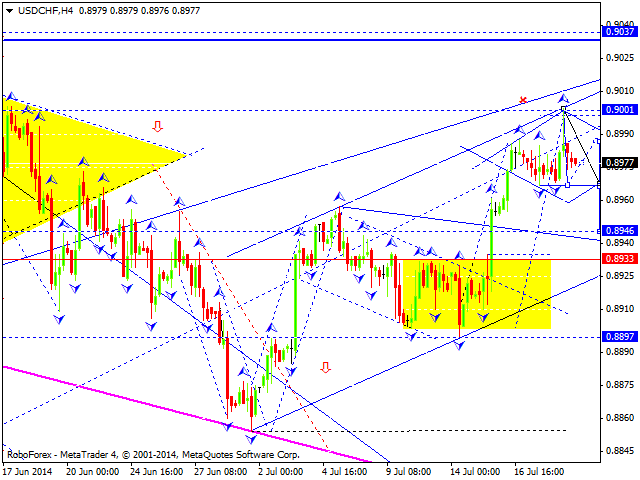 Price may reach level of 0.8965 and, then, start correction towards level of 0.8990. Later, price may continue falling down towards level of 0.8935. Yen is still moving in the descending channel. Today price may reach level of 101.00. Then, as we think, price may form consolidation channel and continue falling down towards its next target at level of 100.50, rebound from this level and reach level of 101.70. Australian Dollar may reach level of 0.9415. Today price is still forming descending structure towards level of 0.9355. 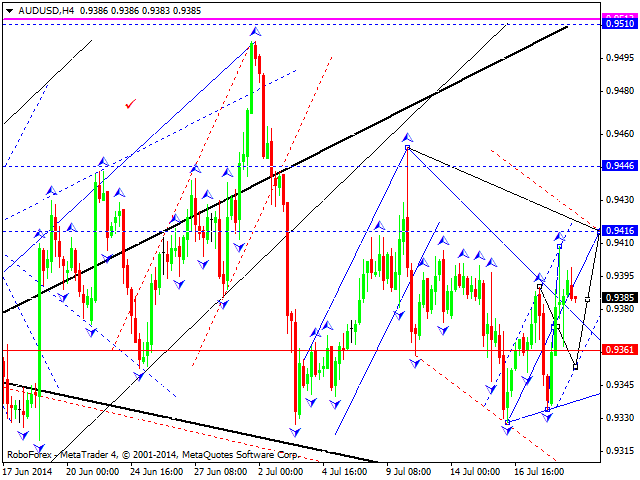 Later, price may go upwards and, then, start descending movement to reach level of 0.9300. Ruble continues forming the forth correction wave. Today, in our opinion, price may consolidate for a while at current highs. Later, instrument may extend its ascending structure and reach the target at level of 35.40. Then, price may resume its descending movement towards level of 34.60. 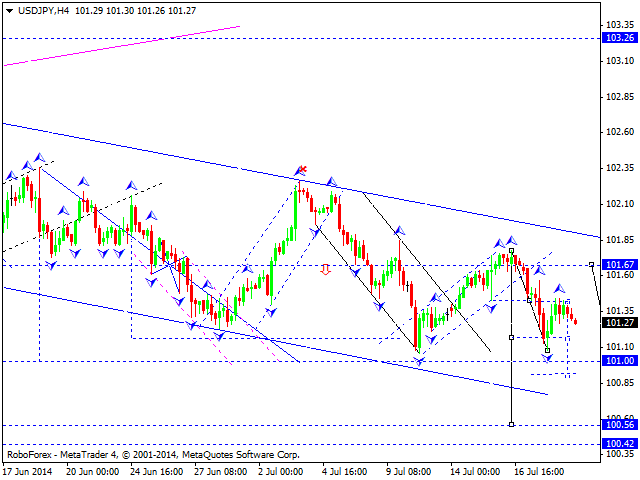 We think, instrument may form the fifth wave in this correction to reach level of 35.60. Gold continues descending pattern. 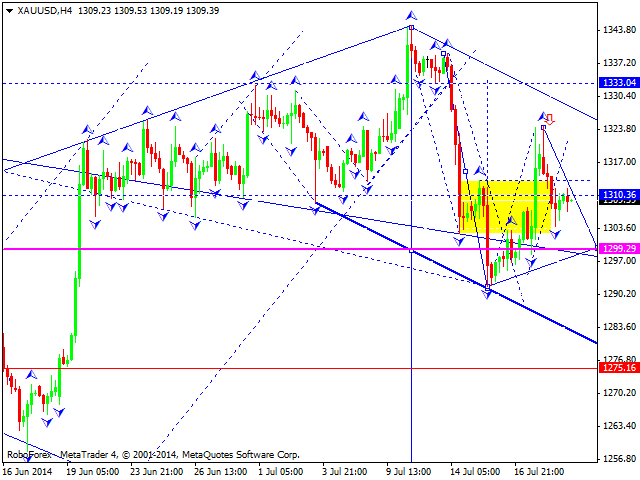 We think, today price may resume level of 1313. Then, price may continue descending movement along the neck of head & shoulders reversal pattern. 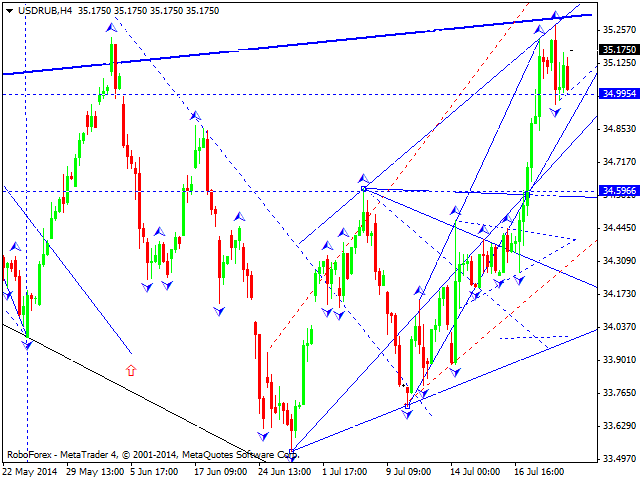 Target of this pattern is at level of 1275.